austraLasia - 4850(II)_How to pray together with non Christians? Please, give us strength, wisdom and intelligence to learn the subjects today. Please, bless us to progress in our life, to live with honesty and to be good people in the society. Please, bless our country, our King, our parents and teachers. Please, bless the people of the whole world with love and maintain the peace under your divine protection. In this way thousands of youth and their teachers of many different religions prayer together at least once a day during the morning school assembly. 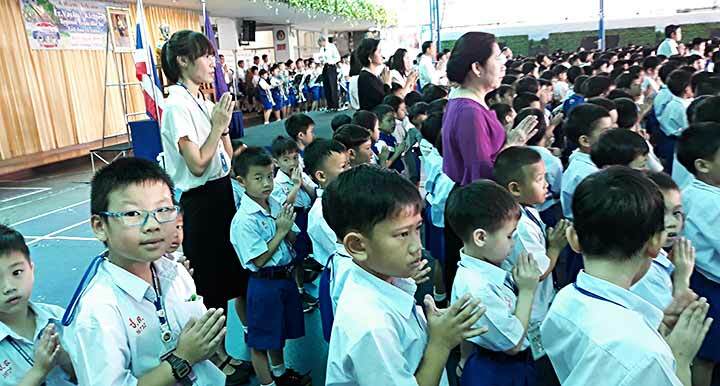 Usually this prayer is recited after the flag raising ceremony, before or after the short metidation (3 minutes) of all students and teachers. 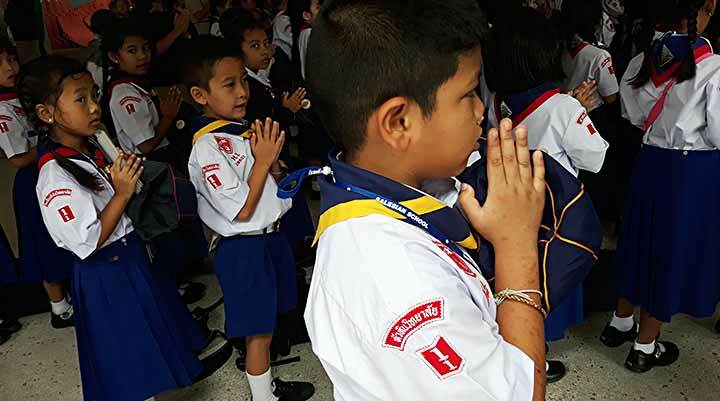 We are grateful for the English translation of this prayer, courtesy to Don Bosco Bangkok Technological College. 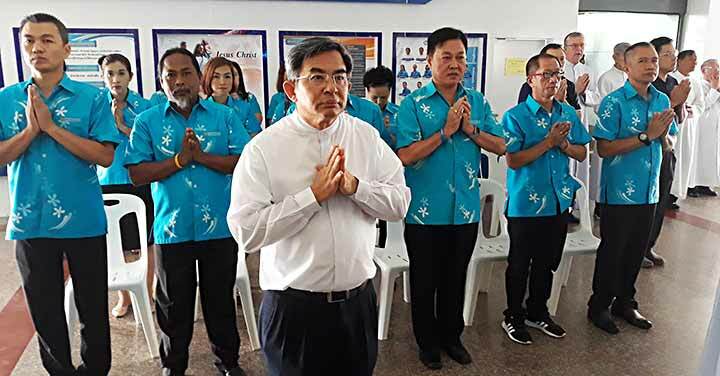 Any similar model of inter-religious prayer from any other EAO country or province is welcome!